PJ Ryan's Pub | A family-friendly Pub with affordable entrees, a great selection of draft and bottle beers and liquors. A family-friendly Pub with affordable entrees, a great selection of draft and bottle beers and liquors. 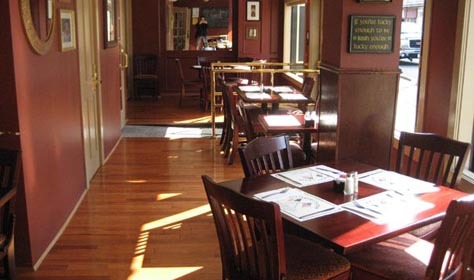 PJ Ryan’s Pub offers a variety of great food, cold beers on tap and in bottles, a friendly atmosphere, and much more. 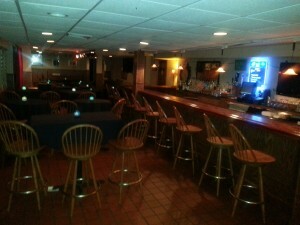 In our spacious underground ‘party room,’ we host comedy nights, private parties, and special events. 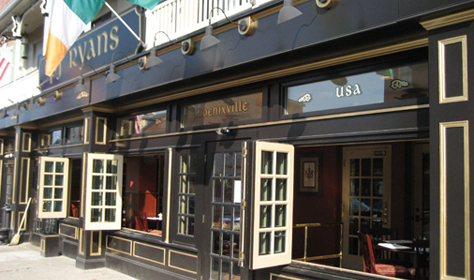 Whether you’re coming in for a meal or just drinks, PJ Ryan’s is a great place to be with friends and family. 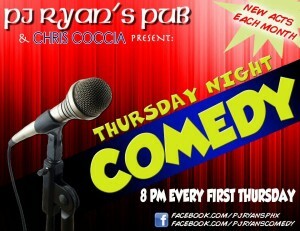 The First Thursday of every month we have hilarious local comedians with national exposure. 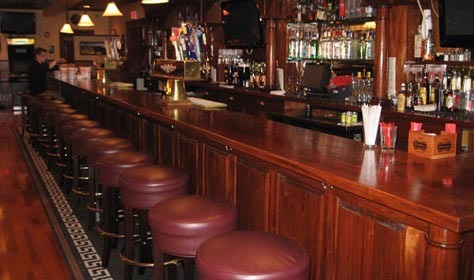 Enjoy great food and draft beer selection at one of PJ’s two classic mahoghany bars! Enjoy streetside dining on the open-air front porch! Book your next private party at PJ Ryan’s Underground, where our full bar and private reception space can accommodate all of your group’s needs! PJ Ryan’s opened its doors in early July, 2008 and has greeted guests with the same genuine family atmosphere that their other locations are known for.